the Military Nursing Service. 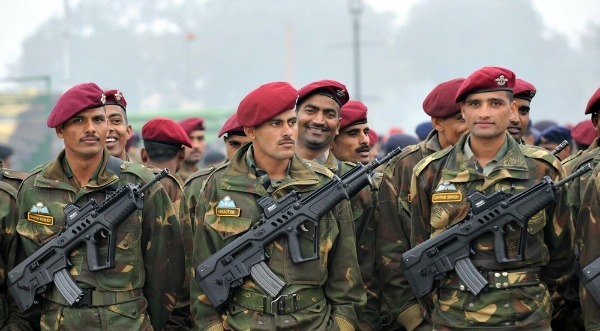 on the official website of Indian Army.All the candidates are requested to read the official notification and carefully fill the application form. MNS is a entry scheme for medical service for the candidates who are eligible and interested to join Indian army can read the full notification and apply online.For any details or queries ask below in comments. Between 02 Aug 1981 and 03 Aug 1995 (Both days inclusive). Registration certificate at the time of interview). rejected being temporarily medically unfit. (a) Written test : Only eligible candidates will be called for a written test to be conducted during the first/Second week of Sep 2016. The written test of 100 marks will consist of objective type questions based on Nursing, English language and Gen intelligence. There is no negative marking. The OMR based evaluation of the answer sheets will be done at IHQ of MoD(Army) and the result of successful shortlisted candidates will be declared online on the army website with the instructions for interview by fourth week of Sep 2016. Confirmation of the result will be the individual responsibility of the candidates. This Office will not be responsible for informing the result individually. as per eligibility criteria, will be rendered ineligible to appear for the interview and the selection is liable to be cancelled. In such cases no TA will be applicable. will be intimated in the website accordingly. (a) The online application will be hosted on the web page of www.joinindianarmy.nic.in. The procedure for filling up of the application form, payment,admit card and subsequent processing will be available on the same website. Candidates may apply online through www.joinindianarmy.nic.in which will be accessible from 18 Jul 2016 to 03 Aug 2016. Eligibility of the candidate will be known while submitting the online application. The candidates should keep file (soft copy) of passport size photograph (size 3.5 X 3.5 cms) taken in the light background in jpeg format and file of scanned copy (jpeg/pdf format) of signature of the candidates ready, before filling online application. These files have to be attached to the online application, hence are necessary. File size should be between 5 Kb- 20Kb. After filling the details and submitting the application, an acknowledgement will be generated and a roll number will be allotted to candidate. The candidate can save or print the application form. In case the application is not being saved due to any technical problem, save the screen view of the acknowledgement and the screen view of filled application form, using the “save as” button. The candidate should affix her self attested photo on the printout/copy of the saved application/saved screen view and acknowledgement and sign the application. (ii) Valid registration certificate of upgraded PG/PB B Sc /B Sc Nursing course. (iii) PG/PB B Sc /B Sc Nursing certificate & marklists. (vii) No objection certificate from the present employer, if employed. (viii) One self addressed envelope with Rs 40/- postal stamp for speedpost (of call letters if selected). 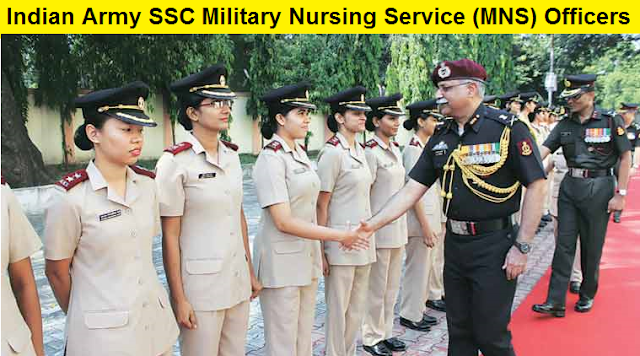 Aspirants are requested to keep visiting our page for more details regarding Military Nursing Service (MNS) Officers Recruitment 2017-2018 soon we would upload with exam details of Military Nursing Service (MNS) Officers Recruitment 2017 once its announced officially so candidates are requested to keep visiting our page for updates. for any doubts or details regarding Indian Army Short Service Military Nursing Service (MNS) Officers Recruitment 2017-2018 comments are welcomed.Also like our official Facebook page for latest updates.